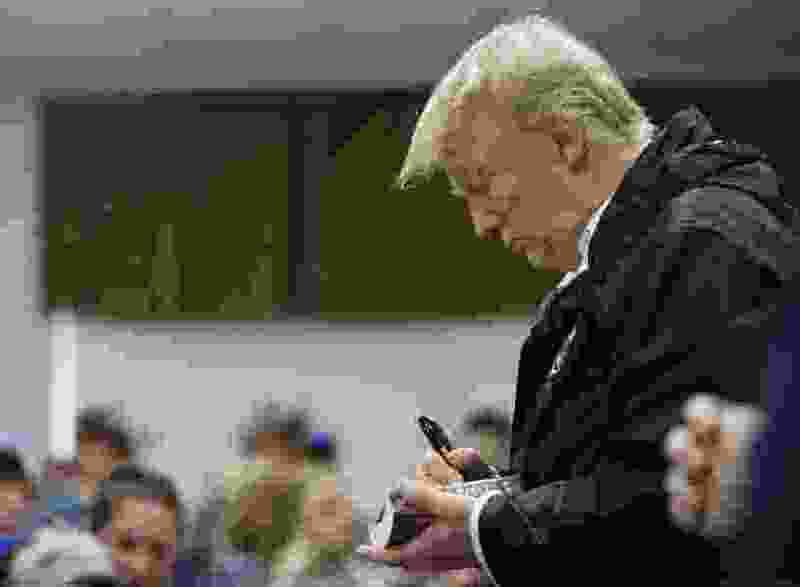 (AP Photo/Carolyn Kaster) President Donald Trump signs a Bible as he greets people at Providence Baptist Church in Smiths Station, Ala., Friday, March 8, 2019, during a tour of areas where tornados killed 23 people in Lee County, Ala. If Donald Trump were the pope or another Christian leader, the majority of U.S. Christians likely wouldn’t have minded that he signed a Bible. But a Morning Consult poll released this week shows nearly two-thirds (65 percent) of Christians in the U.S. found it inappropriate when Trump signed the covers of at least two Bibles earlier this month at a Southern Baptist church in Alabama while visiting a community recovering from a deadly tornado outbreak. Stetzer tweeted at the time that the outcry over Trump signing Bibles was a “made-up controversy.” And a report from The Associated Press noted that presidents including Ronald Reagan and Franklin Roosevelt also signed Bibles, though those Bibles were inscribed privately with spiritual messages as gifts. The poll surveyed 2,201 adults March 12-15 in the U.S., according to Morning Consult. It had a margin of error of plus or minus 2 percentage points.